Scientists are working to answer the mystery of what causes dementia. New findings could lead to effective drugs capable of preventing, slowing, or reversing this devastating neurodegenerative disease. Reseachers are hard at work trying to figure out what causes dementia. 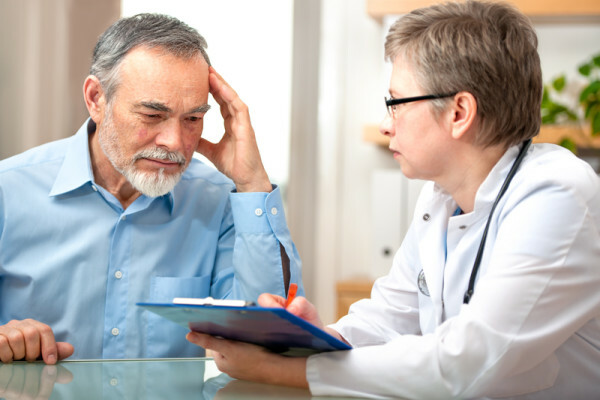 In the case of Alzheimer’s disease (AD), they’re trying to learn the process associated with the condition’s onset. What are they learning? That there’s a multifactorial process associated with AD, and that it’s triggered by a combination of environmental and genetic factors. These factors range from age—which clearly plays a role in the development of AD—to exposure to toxins and rare gene variants that affect a relatively small percentage of people. Yet researchers still don’t know exactly what factor or combination of factors sets the disease process in motion. Understanding this process could help them develop an Alzheimer’s test to determine who is at high risk for AD so they can treat people earlier, before symptoms appear. The following theories might explain what causes dementia conditions, including Alzheimer’s. Perhaps the most widely accepted theory relating to an Alzheimer’s cause, the amyloid hypothesis suggests that toxic beta-amyloid plaques somehow initiate the brain-cell destruction observed in AD. Much of the current research aimed at finding new treatments for AD is based on this hypothesis. The brain normally produces and then eliminates amyloid protein fragments. But in AD, the brain does not remove beta-amyloid proteins. Instead, this protein accumulates and forms sticky masses, or plaques, that destroy neurons and cause the gradual loss of brain tissue. Twisted fibers of abnormal tau protein called neurofibrillary tangles accumulate inside the brain’s cells in people with Alzheimer’s. Neurofibrillary tangles form the basis of the tau hypothesis, another important theory of an Alzheimer’s cause. Normally, tau protein builds part of a cellular structure called a microtubule, which helps transport nutrients and other substances from one part of the nerve call to another. When tangles form, the microtubules break down, leading to deterioration in connections to other cells and, eventually, to cell death. Because treatments aimed at reducing the accumulation of plaque in the brain have not improved symptoms of dementia thus far, some scientists are focusing on clumps of beta-amyloid in the brain, called oligomers. Oligomers are thought to disrupt neuronal communication by changing the structure of communication points between brain cells known as synapses and by promoting the development of neurofibrillary tangles. Many scientists now believe that beta-amyloid oligomers are more toxic to neurons than plaques. Tau protein also clumps together into oligomers. Increasingly, evidence suggests that tau oligomers—rather than tau protein—underlie the development of Alzheimer’s and related diseases. In animal research, immunotherapy targeting tau oligomers both reduced levels of tau oligomers and reversed memory declines. Surprisingly, the treatment also reduced levels of beta-amyloid oligomers, suggesting the two types of oligomers work in concert to damage the brain. 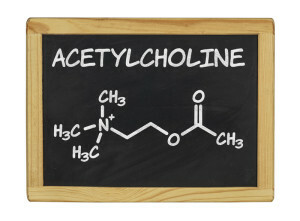 The cholinergic hypothesis suggests that AD symptoms result from a decrease in production of the neurotransmitter acetylcholine, which is necessary for learning and memory formation. 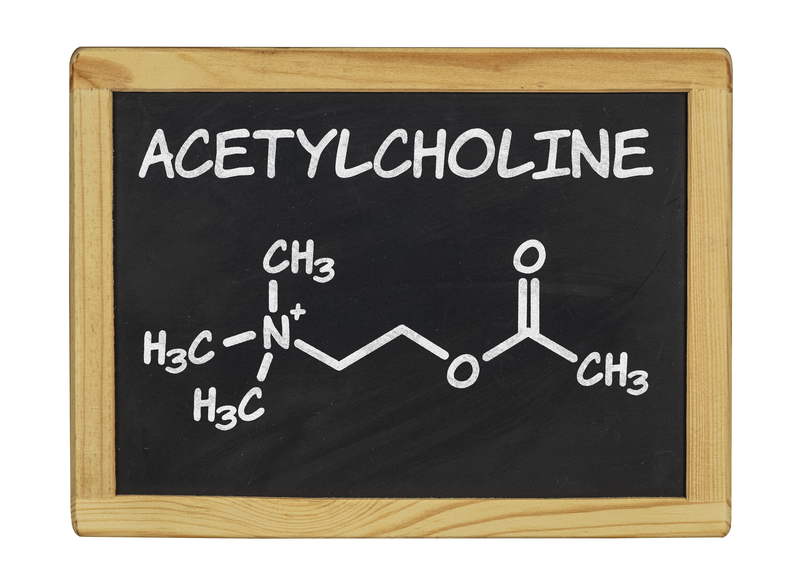 Acetylcholine production is known to decline with age, but AD is associated with a much more significant decline in acetylcholine levels. 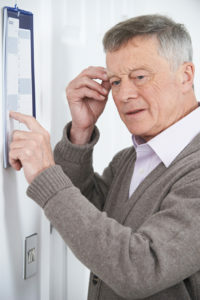 Dementia medications called cholinesterase inhibitor drugs that are a mainstay of AD treatment work by blocking the action of an enzyme that normally breaks down excess acetylcholine for removal, thus increasing acetylcholine levels in the brain. But while cholinesterase inhibitors can slightly improve memory and ability to carry out daily activities, they do not slow the progression of the disease. The theory of excitotoxicity blames AD nerve damage on over-activation of receptors for the neurotransmitter glutamate. Glutamate is normally responsible for making neurons “fire” as they relay messages through neuronal networks, and is involved in establishing long-term memories. When normal glutamate processes are disturbed, excessive amounts of this chemical messenger build up in the space between brain cells. The excess glutamate attaches to brain cells, overstimulates them, and ultimately leads to cell death. Oxidative stress occurs when unstable molecules called free radicals, generated by factors such as environmental toxins, stress, and aging, overwhelm the body’s natural antioxidant defense system. As a result, the body falls behind in its repair of cellular damage. Research suggests high levels of free radicals and oxidative stress are among the earliest dementia signs. However, scientists do not know where oxidative stress occurs along the chain of events in the AD disease process, raising the possibility that oxidative stress may be a marker of AD, not a cause. The immune system relies on inflammation to combat viruses, cancers, and other dangerous invaders. But when inflammation persists, it can damage cells—including neurons. AD has been linked to head injury, which causes inflammation in the brain, as well as to infection, which leads to body-wide inflammation. However, treating people with anti-inflammatory medications in the early stages of AD has thus far not been effective at slowing or preventing the disease. Researchers have discovered that insulin levels may be part of what causes dementia; they drop significantly in the early stages of AD, and progressively decline as the disease advances. Cell death and neurofibrillary tangles appear to be linked to abnormalities in insulin signaling. The theory has led to suggestions that AD may be a type of diabetes. Now, researchers are investigating whether giving insulin to people with early cognitive impairment might slow this decline, and early evidence suggests it might. Further studies are needed to confirm the effectiveness and safety of insulin in people showing signs of early onset dementia. acetylcholine, aging, alzheimer, alzheimer s test, amyloid plaques, amyloid protein, anti inflammatory, antioxidant, beta amyloid, brain, cancers, cholinesterase inhibitors, cognitive impairment, dementia, dementia early signs, dementia in men, dementia medications, dementia symptoms, diabetes, early onset dementia, early signs of dementia, environmental toxins, excitotoxicity, free radicals, head injury, immune system, immunotherapy, improve memory, increasing acetylcholine, infection, inflammation, insulin, irreversible dementia, memory, neurofibrillary tangles, neurotransmitter, nutrients, oxidative stress, protein, signs of dementia, signs of dementia in men, signs of early onset dementia, stress, symptoms of dementia, toxins. I thought you might be interested in this article on https://universityhealthnews.com: What Causes Dementia?